Homemade butter - very happy to have this homemade butter again, which is made with French milk. Very light and airy in terms of texture, and light in terms of flavors, but with a very fragrant finish in the mouth. Homemade bread - I don't think I'll ever get tired of this wonderful nukazuke (糠漬け) bread. So crispy on the outside. 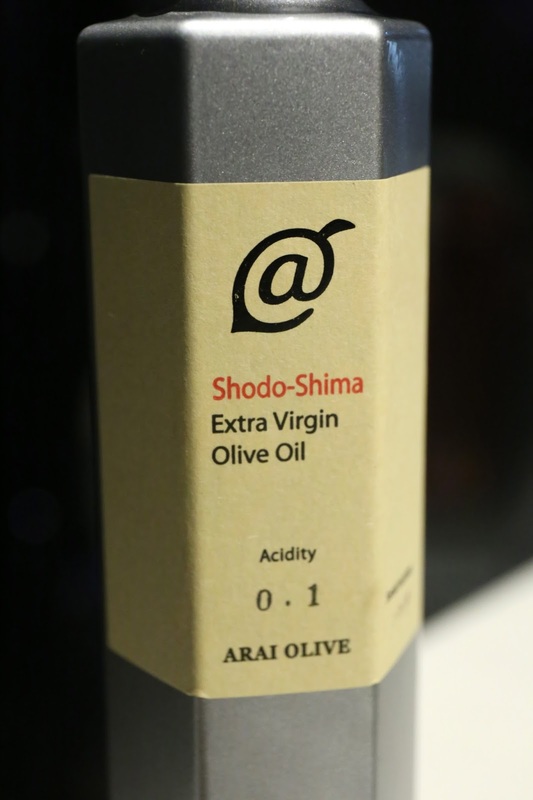 Takano-san brought us this bottle of olive oil from Shodo Island (小豆島) in Kagawa Prefecture (香川県) as an alternative to butter. The oil was so light and very fragrant - almost with lemon notes - and with a light sweetness on the palate. Pan seared scallop "a la meunière" with crispy wing - while the others at the table enjoyed their cod milt (白子), I was presented with the scallop. Nicely done as meunière so the acidity helps to perk up the appetite. Love the ethereal cauliflower mash as always, and the sautéed cauliflower chunks were good, too. Pan seared oyster and miru clam with mushroom purée - the oyster from Akeshi (明石) seemed barely cooked, and was paired up with the crunchy geoduck (海松貝). The mushroom sauce was very, very delicious, and it was finished with a sprinkle of Taiwanese wild pepper - which I believe was the moutain litsea (馬告) that my friend Cathy had given to Chef Sato. The kitchen also generously gave us some white truffle shavings on top. Yum. Lemongrass and ginger tea - always a cold and refreshing palate-cleanser. Nashi pear, "Shine" muscat and aloe, Calpis soda foam with fragrance of shiso flowers - a cold and refreshing dessert. Surprisingly the Shine muscat was rather bland and not nearly as sweet as the ones we've been buying ourselves. The pear was also somewhat underwhelming in terms of flavor, but perhaps it was simply overpowered by the foam. And that foam... yes, I love Calpis soda, and this was just perfect. Lovely acidity - and I normally don't like too much acidity - with that fizzy sensation on the tongue. Highlighted with the fragrance of perilla (紫蘇) flowers. Chestnut mont-blanc with 2008 aged Pu'er tea ice cream - the Mont Blanc came with delicious chestnut purée that wasn't overly sweet, sitting on a piece of meringue. The ice cream was made with vintage Pu'er tea, and it certainly was something special. 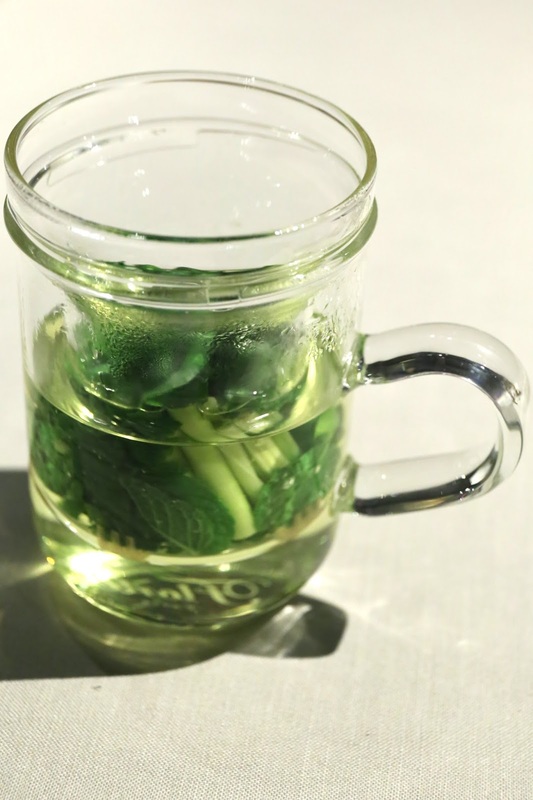 Herbal tea - I always love this combination of pandan, lemongrass, and mint. So lovely and elegant. Loquat compote - I don't eat loquat (枇杷) often nowadays, although it was one of my childhood favorites. Nicely done. 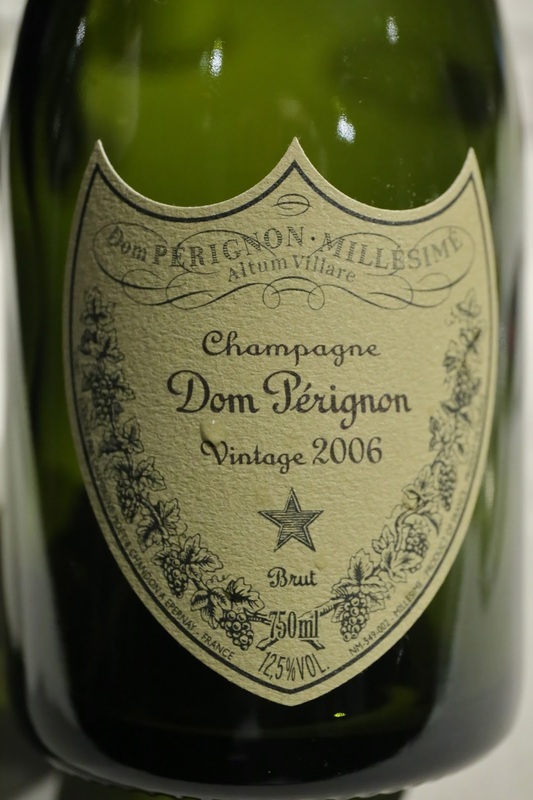 2006 Moët et Chandon Cuvée Dom Pérignon - very toasty and oaky nose. Lovely. Wonderful ripeness and acidity balance here, and so smooth on the palate. 2006 Kistler Chardonnay Cuvée Cathleen - nose was overripe, too sweet and sugary, with too much Chinese licorice (甘草) and marzipan, with some oak here. Spicy on the finish. Disappointing. 2008 Palmer - pretty smoky, a little earthy. Alcohol was pretty sharp on the nose. Got a little better with more time in the decanter. A very satisfying meal, and there were three more fans of Sato-san's cuisine tonight. Looking forward to coming back soon. Wow, I'm really happy to know that Chef used the pepper Magao fo the mushroom sauce!! Can't wait to go back to Ta Vie again. Love this new restaurant!